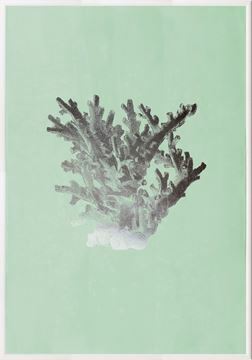 Coral images in Silver foil. 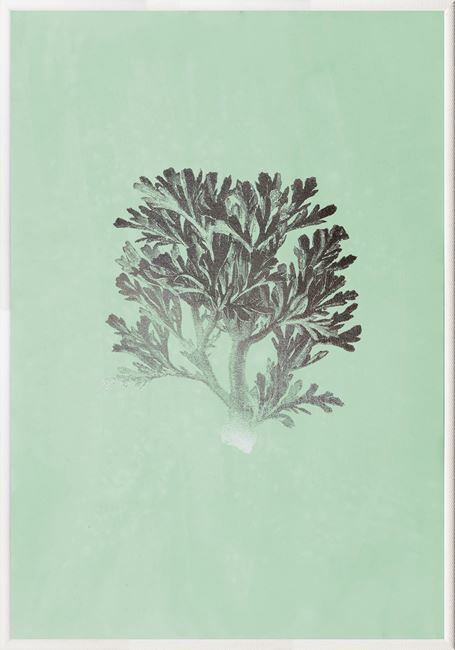 The intricate details of coral, illustrated in a silver foil on a soft mint green, textured paper. Each is framed in an exquisite dappled and rounded white frame.